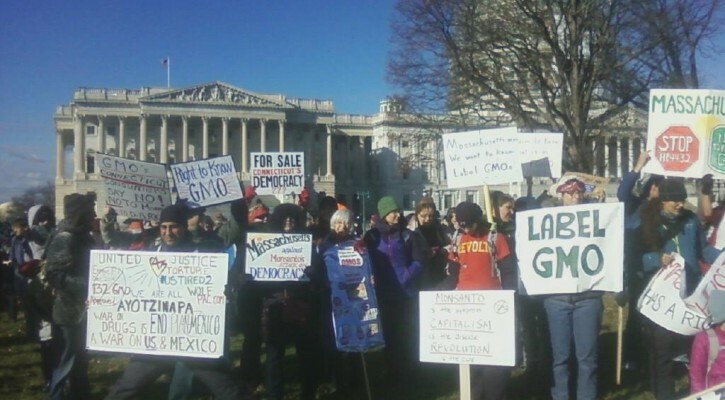 On Wednesday December 10th approximately 700 protesters from 22 states descended on Washington D.C. to protest a hearing on HR.4432 otherwise known as the DARK Act (Denying American’s Right to Know Act). 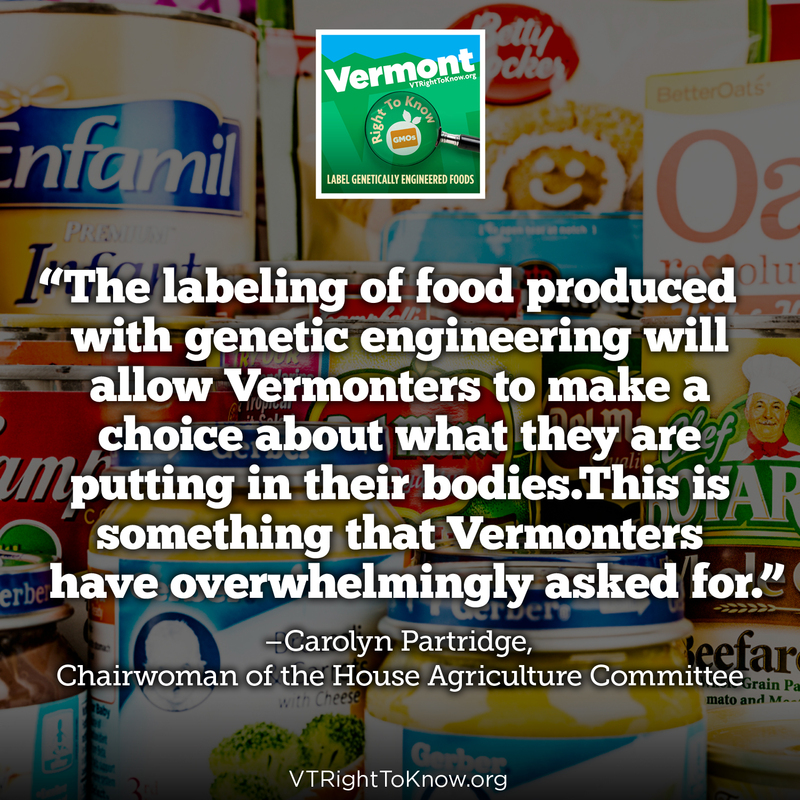 The Act aims to preempt and overturn Vermont’s first in the nation GMO labeling law without creating a national mandatory labeling standard. 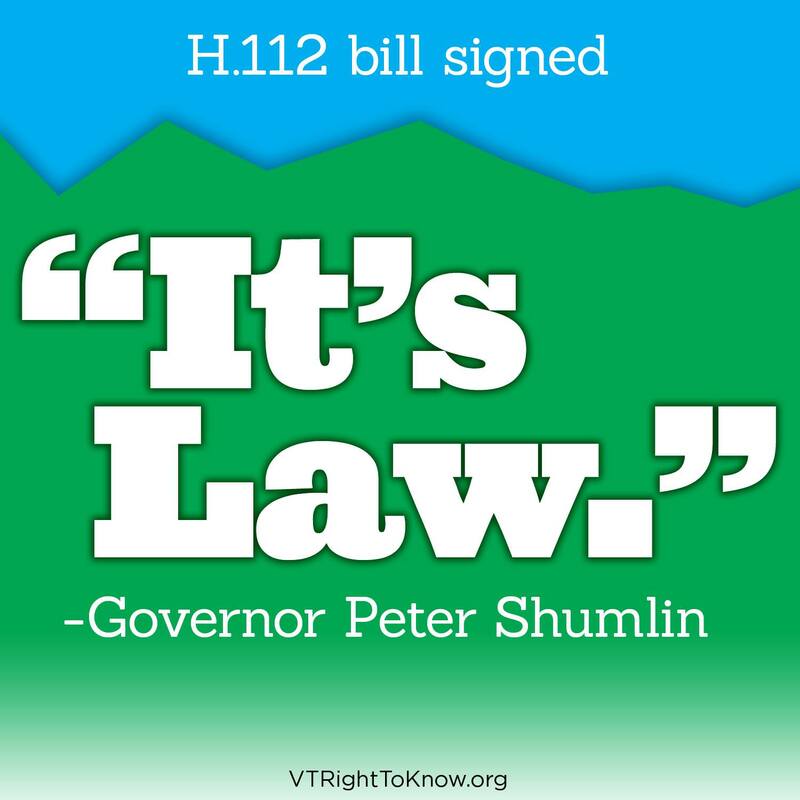 On hand at the rally were members of the Vermont Right to Know Leadership team Will Allen and Cat Buxton, as well as Rep. Kate Webb, one of the lead sponsors of Vermont’s labeling law. Despite waiting for hours to enter the hearing room the protesters were turned away when the chambers were filled. The crowd then moved to rally on the lawn of the Rayburn office building. Will Allen, manager of Cedar Circle Farm in East Thetford spoke at the rally, and commented afterward saying “There were people here from all over the country, two buses came from Michigan, there were also people from Indiana, Florida and Maine. 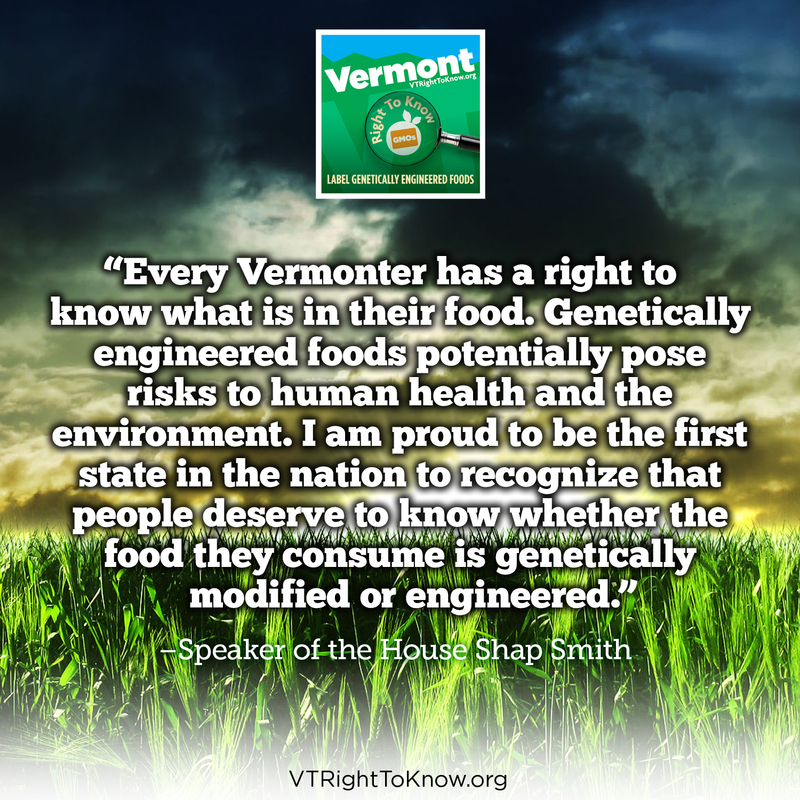 Everyone who spoke was so eloquent and passionate about their right to know what is in their food. 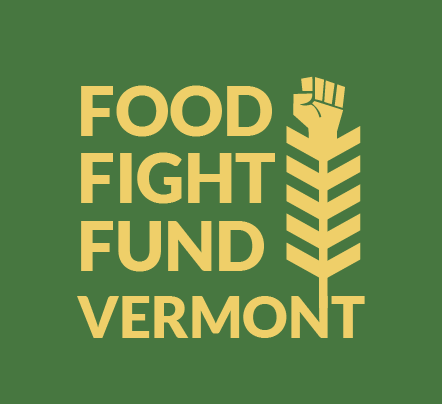 I was really impressed by Jonathan Emord, who spoke fervently about the Pompeo bill being an assault on states’ rights and the fundamental right of people to know what is in the food they are eating.” Emord, a nationally known attorney, who specializes in Constitutional issues, provided written testimony to the Vermont Legislature supporting the legal standing of the Vermont labeling law.